SolarCity Archives - Solar Love! Home Tags Posts tagged with "SolarCity"
Solar power has surged around the world in the past decade as the cost of solar cells and solar panels has fallen. The US Department of Energy SunShot Initiative aims to see the cost of installed solar drop to $1.00 per kWh by 2020. That’s a 75% reduction from prices in 2010. Climate scientists warn that reducing carbon emissions alone will not be enough to keep average global temperature rise below 2 degrees Celsius — the target of the Paris climate accords. They must be eliminated entirely, something that cannot happen if nations continue to generate electricity from fossil fuels like coal, oil, and natural gas. That means renewables like solar and wind are critical to the fight against climate change. But the world of commerce runs on profits, not ideology. It is one thing to say we need to go green to save the planet but in order to make good on that promise, the green alternatives need to cost less than the alternatives. Over the past decade, many new companies have entered all of those fields. Some have thrived and some have fall fallen by the wayside. An example is Solyndra, a start up company on the west coast that planned to manufacture solar panels in the United States. Solyndra obtained more than $500 million in federal loan guarantees with the promise that it would create more than 1,000 jobs. But competitors in foreign countries — mostly China — were able to undercut Solyndra on price and the company went bankrupt and early investors lost all the money they put into the company. Installers like SolarCity have had an wild ride, too. Created by two cousins of Elon Musk, SolarCity lived and died on the policies created by the public utilities commissions in each state. At first, rooftop solar was a tiny part of the market. But as the number of rooftop systems increased, utility companies began to push back against having to pay for electricity someone else generated. They were accustomed to selling power, not buying it back from private individuals. 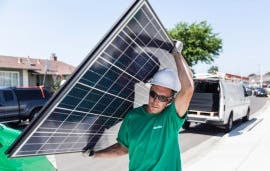 For example, SolarCity was thriving in Nevada where abundant sunshine made rooftop solar an attractive proposition.But when the Nevada PUC changed the rules at the urging of local utilities — slashing net metering rates and imposing a monthly fee on rooftop systems — SolarCity ceased doing business in Nevada, putting hundreds of employees out of work. People who want to invest in solar companies are like those former SolarCity employees. Their investment can look secure one day but disappear the next. To date, investments in solar companies have been far more risky than those in more established sectors. Of course, following the safest course also means average returns are just that — average. Emerging markets offer opportunities for higher returns but at higher risk. One investment strategy is called a contract for difference or CFD. CMC Markets offers tutorials online about CFD’s and provides a platform for making those and other investments online. Making money in the market is hard work and requires the proper tools. CMC Markets has a complete assortment of online tools available for individual investors. To be fair, we don’t yet know what Donald Trump’s precise climate approach will be, but it seems all but guaranteed that he will slow and obstruct climate action and will do a “great deal” to increase pollution and CO2 emissions from the out-of-date oil, coal, and gas industries. At the opening of the World Future Energy Summit earlier this week, former president of Mexico Felipe Calderón had some powerful energy statistics from the US to share — there are approximately 70,000 coal mining jobs in the US today, whereas there are over 200,000 solar energy jobs there (exclusive video and more commentary coming). In a separate interview with Adnan Z. Amin, Director-General of the International Renewable Energy Agency (IRENA), Amin dropped some similar stats on us — 85,000 people work in the coal industry in the United States, whereas approximately 400,000 people are employed in renewables in the US. For a little further context, that equals ~5% of the global renewable energy workforce. Even today — with coal accounting for ~30% of US electricity and solar accounting for ~1% of US electricity — solar jobs outnumber coal jobs. Solar power and wind power have both become cheaper than coal power (by far) and almost no new coal power capacity has been added in the past few years (renewables have dominated new capacity and natural gas has accounted for almost all of the rest). Hastening the energy transition would create thousands and thousands of new jobs, whereas delaying it would make the US economy more stagnant and weaker. Hastening the energy transition would result in many more solar and wind energy power plants and distributed systems on homes and farms across the country, whereas delaying it just means burning more coal and natural gas in old power plants, polluting the lives of more Americans, and allowing coal and oil billionaires to stuff more cash into their over-inflated bank accounts. The basic economics of renewables isn’t going to change, but weakening or crushing the Clean Power Plan would allow old, dirty coal power plants to remain open (and cause premature death to countless American citizens), which would mean a slower increase in renewable energy jobs. Put very frankly: the number of renewable energy jobs that approach would keep off the market is a larger number than the number of coal jobs that would be saved for a few more years. Coal mining is largely automated at this point and the old coal plants the Clean Power Plan would shut down are, of course, already fully built, but the renewable energy projects that would be created to more quickly replace these old coal plants would create renewable energy design, manufacturing, sales, and installation jobs for Americans in need of work. Any efforts to let oil & gas companies pollute more and any efforts that allow more natural gas power plants to get built will of course harm human health — they will harm the health, quality of life, and lifespan of real American citizens. However, again, there is also likely to be a jobs hit. Part of the beauty of wind and solar power is that these are highly distributed power-generation technologies that require a great deal of local work for installation. Additionally, some of the largest manufacturers are American (GE for wind turbines, SunPower and First Solar for solar panels, etc.). Much of the cost of natural gas is simply for the fuel and is funnelled to billionaires and multimillionaires at the top of this industry — buddies of Donald Trump, perhaps. Renewable energy is the real job creator, not natural gas. Efforts to hurt electric vehicle growth will hurt US manufacturing as well — Tesla is based in California and Nevada, the Nissan LEAF is built in Tennessee, the Chevy Bolt is produced in Michigan, and other electric cars are or will be manufactured in the US. At one point last year, we highlighted that the fastest-growing job in the US was the job of a wind turbine technician. It seems that Trump won’t promote this job or industry since he has a long history of anti-wind behavior, but for his own sake (and the country’s) it would be quite helpful if he didn’t obstruct continued wind energy growth. When the US wind market grows, US wind turbine manufacturing grows. The best way to hurt US wind turbine manufacturing is to hurt the US wind energy market. Electricity is an expensive luxury on many of the world’s islands. Too far from the mainland to be part of a traditional electrical grid, many rely exclusively on diesel generators. Diesel fuel is expensive because it must be brought to the island by ships, often across great distances. If the ships don’t arrive on time, the generators sputter to stop and the lights go out. For decades, this has been the reality for residents of Ta’u in American Samoa, 4,000 miles west of Los Angeles. “I recall a time they weren’t able to get the boat out here for two months,” said Keith Ahsoon, a local resident whose family owns one of the food stores on the island. “We rely on that boat for everything, including importing diesel for the generators for all of our electricity. Now, thanks to the American Samoa Economic Development Authority, the Environmental Protection Agency, and the Department of Interior, the 600 people who live on Ta’u have access to clean, renewable electricity from a 5,328 solar panels supplied by SolarCity. They can generate 1.4 megawatts of electricity from the abundant sunshine that falls on the island every day. “It’s always sunny out here, and harvesting that energy from the sun will make me sleep a lot more comfortably at night, just knowing I’ll be able to serve my customers,” said Ahsoon. But solar panels are just part of the story. Adjacent to the solar panels are 60 Tesla Powerpack batteries, each capable of storing 100 kWh of electricity. Combined, they allow Ta’u to have its own self contained microgrid with enough stored electricity to power the entire island for three days. If the batteries are ever depleted, they can be fully recharged in just four hours using nothing but sunlight. It took Tesla and SolarCity just a year to complete the entire microgrid from start to finish. Originally published on EV Obsession. The prominent advisory firm Institutional Shareholder Services has given its recommendation to support Tesla’s $2.3 billion SolarCity acquisition/merger, telling shareholders that Tesla would be able to bridge the funding gap with SolarCity, and also that the acquisition was an important step in the firm’s path to becoming an integrated sustainable energy company. Tesla CEO Elon Musk commented in an interview with CNBC: “I thought they wouldn’t recommend us, but they did. They tend to be a bit negative.” He also saw fit to tweet a Bloomberg article on the subject. As it stands, a vote involving shareholders of both companies is expected to take place on November 17. Bloomberg provides more: “The ISS report said that, while Tesla has a ‘suboptimal governance structure,’ the requirement that a majority of unrelated shareholders be required to approve the deal helps get past that issue.” As Elon has said many times, they want to do the right thing, not just what they are required to do, and that ethic has carried over into voting regarding this deal. “ISS said Tesla ‘is paying a low to no premium to take over SolarCity.’ The announced cost synergies of $150 million, even if capitalized at a low multiple of 10 times, would create $1.5 billion, the equivalent of almost two-thirds of the acquisition price, according to the firm. Tesla CEO Elon Musk has previously commented on the synergies between the two companies, noting that they go together like “peanut butter and jelly.” He has also noted that SolarCity will add $1 billion in revenue to the new, combined company in 2017, as well as $500 million in cash to Tesla’s balance sheet over the next few years (3 years). He’s not wrong. As with most disrupters, most of the criticism against Tesla seems to be the result of discomfort with the changes that are now coming. There will of course be those who lose out on profit and market share as a result of the changes that Tesla is helping to spearhead. The event was primarily for Tesla owners, so it took me longer to get up the hill from the studio gate than it did to ride my Zero from Vernon at rush hour. But I did get to hitch a ride in a swanky Model X, which was a lovely way to start the Tesla world experience. Riding there, I passed a Tesla Roadster and was overcome with awe at how far the company has come since the Roadster. Most mere mortals would’ve given up many times along the way. But not Elon Musk. He’s kept going, and won’t stop till he reaches his retirement community on Mars. The Tesla solar roof was the biggest news, but the Powerwall 2 & Powerpack 2 are game-changers as well. Elon Musk stated that, combined with a $5,500 Powerwall 2, the solar shingles will actually be cheaper than buying conventional shingles and electricity from the grid. The shingles will be available by summer 2017. Here’s a nifty cost analysis of various batteries and grid power. It’s from 2015, so the numbers have most likely changed a bit, but it’s still useful for some perspective on cost and especially cost per kWh of storage. Californians with traditional Spanish-style roofs are usually out of luck when it comes to living off the grid. The delicate terra cotta tiles don’t take well to having holes drilled in them, and conventional solar panels actually look exceptionally horrible in such stark contrast to the terra cotta tiles. So it was very impressive to see the curved tiles included in the presentation. Note to engineers: Tesla is hard at work to solve the efficiency problem the curves present, but it’s true the curves are still a technical drawback. As shown on the sample roof, the Tuscan-style tiles would seem to have the least efficiency of the styles, as only the darker tiles are collecting solar energy and they are only doing so on the flat parts (not the curves). So they’re not quite capturing the authentic aged Tuscan look or full efficiency. Still, they’re a sweet option compared to no solar at all. On the other hand, the French slate shingles are works of art. Tesla managed to create tiles just as beautiful as the real thing, only drastically more durable. Elon Musk told the audience that French slate is the hardest to replicate. Through the use of a hydrographic printing technique, each tile is unique, just like natural slate. All the Tesla shingles utilize micro louvers to make the solar cells invisible from street view. Musk explained that this is the same technology used in privacy screens for laptops. So that roof really is as gorgeous in real life as it is in these photos. A video (below) showed how much stronger the Tesla quartz glass shingles are than traditional roofing materials as well — an impressive accomplishment. As for efficiency, they’re currently measuring a 2% loss over conventional panels, which is amazing for solar shingles. They’re also working to increase efficiency beyond 100% through light reflection within the shingles. 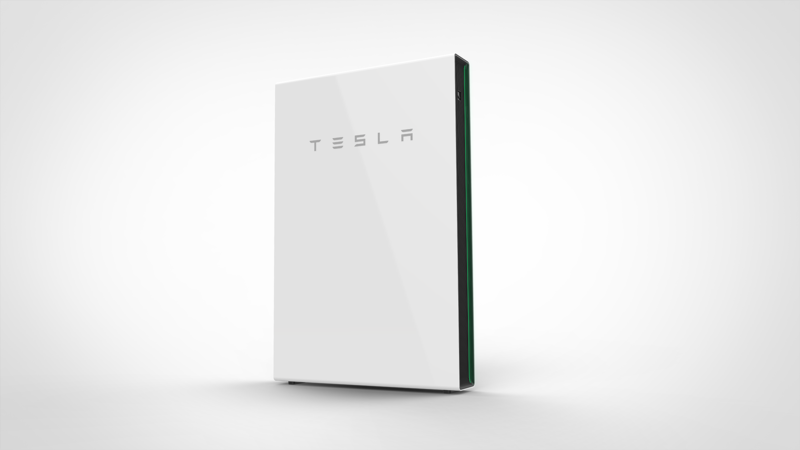 Tesla also showcased its new batteries — Powerwall 2 for homes and Powerpack 2 for industrial & utility customers. The new batteries are twice as energy dense as the old ones, thanks to their new 21–70 cells, which we wrote about a bit here. While the world’s largest banks were somehow fleeced into investing into a pipeline that will only cause more problems than it could ever solve, Tesla has Powerpacks available for any utility company interested in kicking the (natural) gas habit. 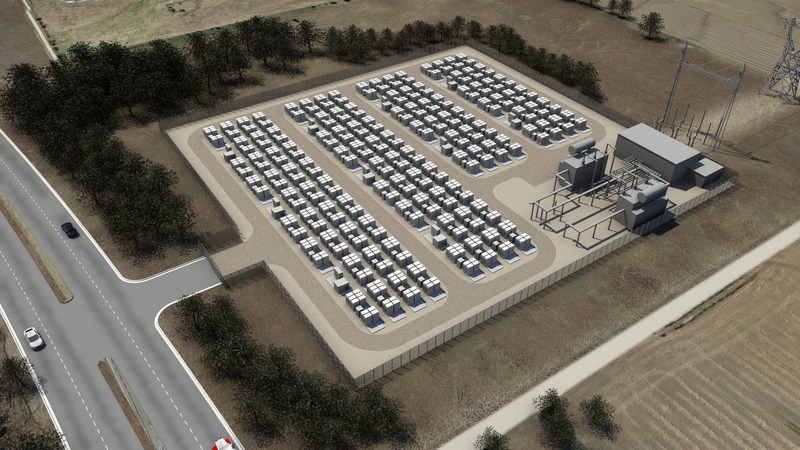 Southern California Edison has already ordered a 20 MW/80 MWh Powerpack substation to help ease its dependence on its crumbling gas storage reservoirs. In the press conference last night, I asked Tesla how long until all of Southern California can rely on Powerpacks instead of gas buried underground. Musk stated that once the system is up and running in Mira Loma, they will probably want to buy more Powerpacks. LADWP purchases natural gas from suppliers from out of state. Natural gas is conveyed into Southern California through SoCalGas’ system and to LADWP’s in-basin generating stations. LADWP does not have its own gas storage, and the management of SoCalGas’ system to get the gas to us in entirely their responsibility. LADWP has been using natural gas more efficiently than ever since repowering older generating units at Haynes and most recently Scattergood generating stations. LA’s goal is to be coal-free by 2025, and LADWP continues to aggressively increase the amount of renewable energy (solar, wind and geothermal power) provided to LA residents and businesses. We are on track to provide 33% renewable energy to customers by 2020, and 50% by 2035. However, the most abundant renewable resources, solar and wind, are both variable. They do not produce energy if the wind is not blowing or the sun is not shining. Until more storage technology or baseload geothermal power can be developed, natural gas provides an essential “bridge fuel” to ensure continuous, reliable power to our customers 24/7. Hopefully now that LADWP has completed a 62-mile renewable transmission corridor, it’ll consider purchasing some Powerpacks to store that clean energy as well. Tesla is ready to take LADWP’s order, and help America’s second largest city live a little better. Note: One of our reporters was at the reveal and will be writing an article about the event and the new products as well. On October 28, Elon Musk played ringmaster while Tesla and SolarCity showed off their new line of glass solar tiles that generate electricity but look like conventional roof shingles and tiles. Musk told an audience of several hundred invited guests that between 4 and 5 million new roofs are installed in America every year and many times more than that are installed worldwide. If the cost of a solar roof was less than what a homeowner would spend for a conventional roof plus utility bills that wouldn’t have to be paid over the roof’s 30 year useful life, “Why wouldn’t you?” Musk asked. Good question. To be honest, conventional rooftop solar systems are not aesthetically pleasing to look at (in my opinion). The main advantage to Musk’s solar roof is that it adds to the look of a home instead of detracting from it. The solar roof tiles will come in four styles. The first looks like a conventional black roof shingle. The second resembles a conventional slate roof. 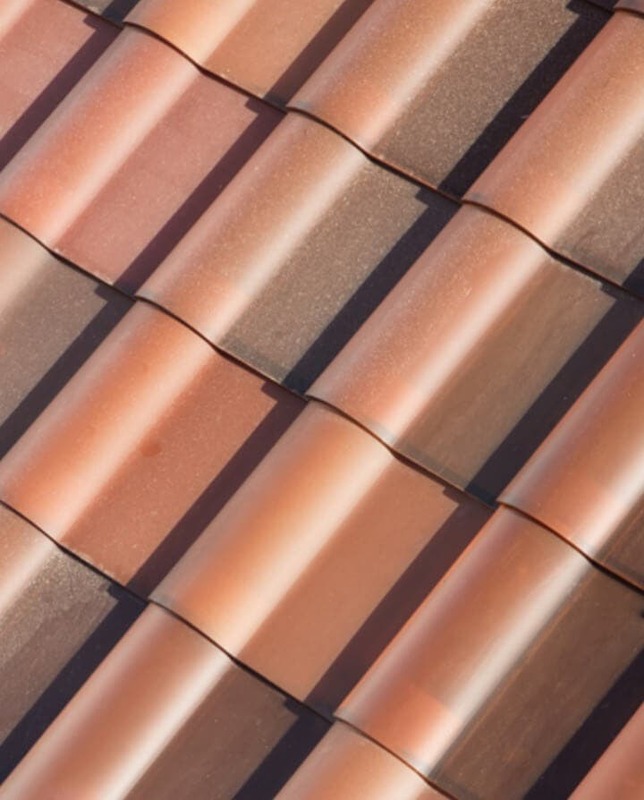 Its individual tiles vary slightly in shade, making for a roof that is the most attractive of all. Third is called Tuscan and looks like the curved terracotta roofing tiles common throughout southern Europe and California. The fourth option is called textured glass and is visually appealing as well. The secret sauce in all this is a series of micro-louvers built into each tile, technology developed in cooperation with 3M Corporation. The louvers allow sunlight to shine directly on the solar cells below but hide them from view from the street. The result is the best of both worlds — solar panels that generate electricity and a roof that generates compliments and adds value to any home. To show off the new roof products, Tesla took over four houses on the back lot of Universal Studios that once served as the set for the reality TV series Desperate Housewives. Each house had its old roof stripped off and replaced with one of the four styles of glass roof tiles that Tesla and SolarCity will offer. Naturally, each home had Tesla automobiles parked in the garage to emphasize that having a solar roof means sufficient power for the inhabitants with enough electricity leftover to charge electric vehicles. 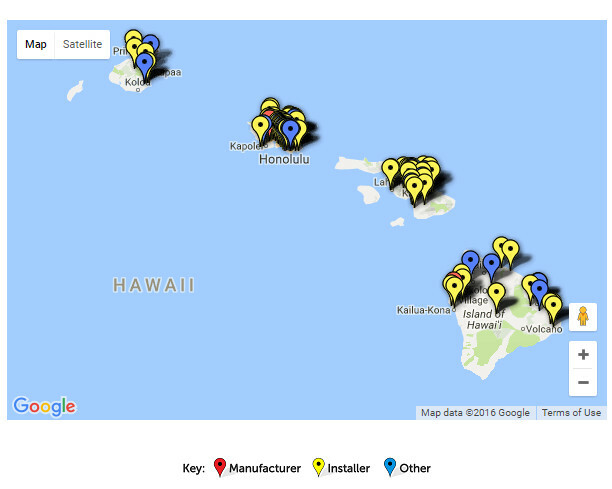 Looking at the map, Hawaii appears to be an ideal solar market. Every sun-worshipper on Earth knows the value of a Hawaiian vacation for its fabulous solar insolation. High electricity prices due to the huge costs of importing fossil-fuel-based energy resources make renewables like solar and wind power a no-brainer for Hawaiians. And, for the most part, Hawaii has stepped up to the solar plate. Swinging home runs right and left, Hawaii has successfully gained 100% of new electrical capacity from solar. It ranked as #2 for watts per person in SEIA’s 2015 ranking of Top 10 Solar States, with 394 watts/person. 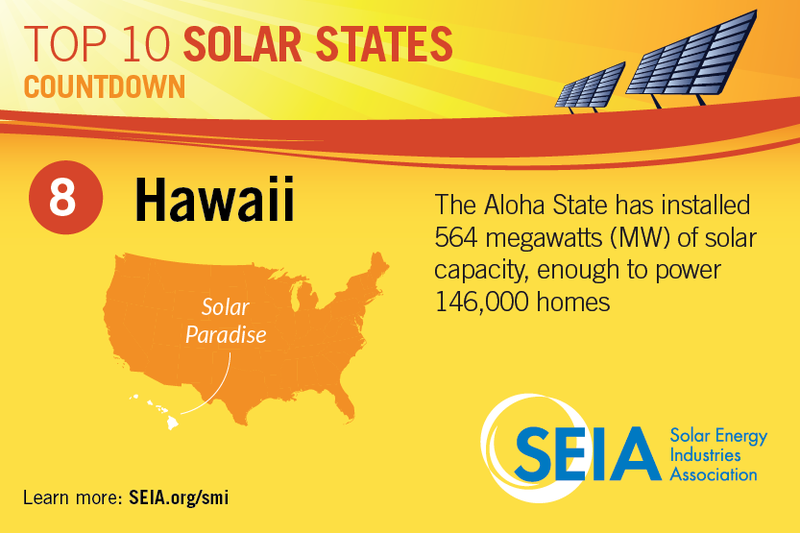 Ranking 7th in the US for 2015, Hawaii installed over 231 MW of solar capacity, a growth rate of 10% over 2014. An updated total of 615 MW of installed capacity ranks Hawaii as 8th in the US for current total installed solar capacity. Throughout Hawaii’s value chain, over 104 solar companies contribute to the market, employing over 2,800 people. There is currently enough solar energy installed in Hawaii to supply clean, renewable energy to over 159,000 homes. Unfortunately, however, issues related to interconnection of distributed energy resources are driving major changes to the solar market in Hawaii. The dramatic closure of Hawaii’s net metering program in October 2015 is having a significantly negative impact on Hawaii’s electricity grid customers wanting to transition to solar power. The following is an in-depth exploration of the state of solar energy in Hawaii. Please feel free to offer further contributions in the comments. The federal solar investment tax credit (ITC) is available across the United States. The ITC offers a credit from the federal government of up to 30% of a solar installation’s costs. However, you can only take full advantage of the credit if you have that much tax liability in the tax year. Under current law, the 30% ITC currently extends through 2019 but is scheduled for a phase-out after that. Businesses may also qualify for a corporate depreciation incentive, as well as the Business Energy Investment Tax Credit (ITC-1603) and the Renewable Energy Production Tax Credit (PTC). The following are a limited sample of state solar energy incentives listed on the Hawaii page of the DSIRE Incentives Database. The Database of State Incentives for Renewables & Efficiency (DSIRE) website, operated by the NC Clean Energy Technology Center at NC State University, offers an up-to-date and comprehensive public clearinghouse for specific solar energy incentives across the United States, including federal and state incentives, programs, and policies. The feed-in tariff (FIT) in Hawaii was established through the Hawaii Public Utilities Commission (PUC) in September 2009. Offered by the three investor-owned utilities — HECO, MECO, and HELCO — the rates for Tiers 1 and 2 opened in November 2010. The FIT rates for Tier 3 were approved and filed by December 30, 2011. People applying for the FIT must register and apply online at the Independent Observer FIT website. Unless no building permit is required by their county, applicants are required to file their building permits either prior to or on the same day as applying for the FIT. On October 12, 2015, the Hawaii PUC voted to end net metering in favor of 3 alternative options: a grid supply option, a self-supply option, and a time-of-use tariff. Customers with net energy metering application submitted before October 12 will have the option of continuing with net metering described in the DSIRE Net Metering Program Overview (last updated 10/21/2015). 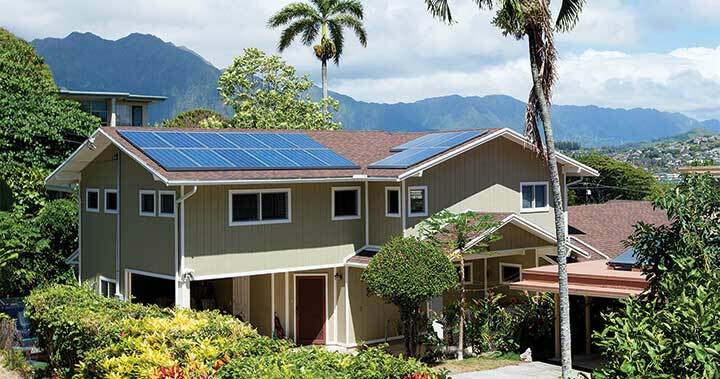 With the closing of Hawaiian Electric Company’s (HECO) net metering program in October 2015, the Hawaii Public Utilities Commission approved new options to interconnect distributed resources to the grid. Strategies for advancing the state’s evolving distributed energy resource policies include adopting energy efficiency measures and demand response measures especially relevant to rooftop solar systems, energy storage systems, and electric vehicle charging. HECO owns the utilities on Oahu, Maui, and Hawaii Island and the new changes only apply to new customers. Existing customers, those who have already applied for net metered systems, or those who are awaiting approval will not see a change in the HECO net metering program. The changes approved in the filing include new “Customer Self-Supply,” and “Customer Grid-Supply” tariff options for new customers applying to interconnect distributed energy resources to HECO’s grid. In addition, all grid-connected residential customers will now pay a minimum monthly bill of $25, and commercial customers will pay a minimum bill of $50. Under the Customer Self-Supply (CSS) option, new solar customers with energy storage systems are offered expedited review and approval of their systems. They do not receive any compensation for any electricity exported to the grid and are tightly restricted in how much excess electricity that can be exported. Under the Customer Grid-Supply (CGS) option, new solar customers are (in theory) able to export electricity to the grid, but at a substantially lower rate. The CGS tariff reduces the previous tariff from the full retail rate (about $0.30/kWh) to the wholesale rate for the islands’ utilities. These wholesale rates range from around $0.15–0.28/kWh. Unfortunately, this all looked good on paper but is not really working out in reality. Time-of-Use rates have never materialized. And, in early October 2016, the Hawaiian Electric Company reportedly reached a cap on its Customer Grid-Supply program, essentially meaning that there is no longer a Customer Grid-Supply option. Since the end of net metering, according to the Hawaii Solar Energy Association (HSEA), the sector has lost about 450 jobs from among the more than two dozen solar companies operating in the state. In September, the HSEA reported that the Customer Self-Supply program had received 33 applications, but needs energy storage incentives and approved time-of-use rates to foster quicker growth. Recognizing the importance of energy storage, the investor-owned Hawaiian Electric Company explicitly mentioned adopting storage in the utility’s 2013 Integrated Resource Planning Report. The report called for energy storage as a necessary strategy to facilitate expanding renewables capacity and modernize electric generation. In 2014, two bills establishing tax incentives for energy storage projects were introduced. HB2618 offered a 20% investment tax credit, or a utilization credit equal to $0.08/kWh of capacity for a project’s first 10 years. SB 2932 required the PUC to establish an energy storage portfolio standard. Unfortunately, both bills failed to pass. The 2016 legislature session failed dismally, as well. Although energy storage was hailed as the best solution after the Hawaii PUC ended the net metering program in October 2015, two new bills supporting storage rebates and tax credits stalled in this year’s session. HB 2291, the second of the two bills, amended the Renewable Energy Technologies Income Tax Credit (RETITC) program to include energy storage. HB 2291 set a $5,000 cap on rebates, but for solar-plus-storage systems, the cap was set at $10,000. The existing RETITC tax credit would have stepped down from 35% to 25% in 2017, and in 2020 stepped down to 15%. Energy and Environmental Protection Chairman Lee worked on and actively supported both bills. He reports that they are expected to be taken up again, possibly joined into a single bill, with the start of Hawaii’s new legislative session in January 2017. Although tax incentive bills are not yet supporting widespread residential adoption, it is worth noting that Hawaiian Electric Company has already issued an RFP for energy storage systems ranging from 60–200 MW. As covered in a recent article on Cost of Solar, the costs of a solar installation in Hawaii are dropping dramatically, especially in the last few years. Jake pointed out that the 2011 price per watt for a system installed in 2010 was $8, and “a 2014 source said that installed solar panel cost was $4.04 per watt. However, prices have dropped since then.” Brian Korgaonkar, writing for Renewable Energy World, places the end-of-year 2015 cost at $3.53 per watt in Hawaii. With or without energy storage systems, a homeowner’s investment in solar PV is an excellent decision. Given the extremely high prices that residents of Hawaii, especially on Oahu, are paying for imported oil-based electricity, any relief provided by a solar installation is a big help. A residential solar PV installation will likely produce electricity for about 20 years, offering significant savings over this long term. And, even if the homeowner decided to move after only 10 years, for example, the solar system typically contributes around 3% to the selling price of the home. Grove Farm on Kauai Island was completed in 2014 by developer SolarCity. This photovoltaic project has the capacity to generate 12 MW of electricity — enough to power over 3,100 Hawaii homes. At 5 MW, Kalaeloa Solar Two is among the largest solar installations in Hawaii. Completed in 2015 by Sunetric, this photovoltaic project has enough electric capacity to power more than 1,500 homes. Several large retailers in Hawaii have gone solar, including Macy’s, Target, and Walmart. Safeway has installed one of the largest corporate photovoltaic systems in the state with 332 kW of solar capacity at their location in Ewa. Leading the national energy dialog, Hawaii is a major player in an innovative collaboration between the National Renewable Energy Laboratory (NREL) and SolarCity. Using advanced modeling and inverter testing at the Energy Systems Integration Facility (ESIF), NREL and SolarCity are collaborating with the Hawaiian Electric Companies to address stability, reliability, and safety challenges. Analyzing high penetrations of distributed PV with the electric system has helped to update interconnection standards and codes. And, as a result, IEEE 1547 and UL 1741 were updated to standardize inverter testing procedures and protocols for advanced inverter functionalities. The results of this collaboration have been so successful that Hawaiian Electric was able to clear the waiting list of around 2,500 customers in line to connect their PV installations to the grid. In fact, the utility more than doubled the number of rooftop installations allowed on the grid. Limits on distributed solar power went from 120 percent to 250 percent of the minimum daytime load. If shareholders of Tesla Motors and SolarCity vote to approve a merger of the company next month, Panasonic has indicated it will deepen its corporate ties with Tesla by taking over the manufacture of solar cells at the Buffalo Gigafactory. Once that facility is completed, it will be capable of producing up to 10,000 solar panel a day. That word “Gigafactory” gets thrown around a lot. Don’t let it confuse you. The Gigafactory in New York is for making solar panels. There is another Gigafactory in Nevada where Tesla is planning to make batteries for its electric cars and for energy storage. Panasonic is a major partner in the Nevada factory, having committed nearly $2 billion of its own money to the enterprise. If the Tesla/SolarCity merger goes through, Panasonic will essentially take over operating the Buffalo plant while Tesla enters into a long term contract to purchase all the solar cells and panels made there. Approximately 1,460 employees will work at the Buffalo plant once it reaches full production. The factory in Buffalo has received $750,000,000 in incentives from the state of New York, which is interested in re-invigorating manufacturing in the Buffalo area. The closer working relationship between the two companies will further Elon Musk’s dream of making more American homes independent of traditional utility companies. SolarCity is set to unveil a new solar roof product later in November. That offering may revolutionize rooftop solar. Elon says the solar roof will be beautiful and functional. Instead of a photovoltaic system mounted over a roof, the new product will be the roof. Elon thinks there are as many as 5 million homes in the US that could benefit from such a system. He anticipates that the solar roof would work seamlessly with the Tesla Powerwall home storage battery products manufactured by his company. The completed system could not only power an entire home, but also charge an electric automobile as well. It just so happens that Tesla manufacturers some pretty desirable electric cars. cutting spending on electric energy by 50%. automatically managing lights, air conditioning and other appliances. turning on and off items depending on the time of day, temperature, motion sensors, doors and windows detectors, and electricity rates. allowing full use of the features of the home without any safety hazards caused by user mistakes. On October 5, SolarCity began doing business in South Carolina. It plans to open an operations and installation center in Charleston by the end of the month. It has already begun hiring installers and sales representatives. The company says its rooftop solar systems will allow homeowners in South Carolina to pay less for solar power each month than they previously paid for electricity alone from their local utility company. In addition, they will be eligible for thousands of dollars worth of state and federal tax credits. The company says in a press release that its expansion into South Carolina is made possible by a new solar loan program that went into effect earlier this summer. That program offers residents a choice between a 10 year or 20 year loan. They also have the option of paying for their rooftop solar system in full at the time of installation. The loans allow customers to prepay their entire balance or a portion of their loan to lower their monthly payments at any time, with no fees or penalties. The company will also provide and install a Nest Learning Thermostat at no additional cost for qualifying customers. There is more good news for South Carolina customers. A new pilot program available exclusively in South Carolina, will allow Charleston area customers to get a discount on their solar system when they buy online. A significant portion of the cost of a residential solar system goes to marketing expenses. Reducing those costs by providing an online shopping alternative allows the company to offer its internet customers lower prices. Anyone interested can view all the relevant details on the company website at www.solarcity.com/buyonline. The resources online will show potential customers how much they can save by going solar. They can also call the company directly at 1-888-SOL-CITY (1-888-765-2489). People interested in working for SolarCity in South Carolina can view available positions and apply directly online at www.solarcity.com/careers. SolarCity is one of the leading residential solar energy companies in America. It gives customers control of their energy costs to protect them from rising rates. The company makes solar energy easy by taking care of everything from design and permitting to monitoring and maintenance. With SolarCity, one call really does do it all. Citi has now agreed to provide $347 million more in funding to SolarCity to help pay for installations for homeowners and small businesses. Coupled with a $305 million cash equity funding arrangement agreed to earlier this month, the new financing will give SolarCity more than $650 million in new financing to pay for its solar installations. With investors and regulators looking carefully at the proposed acquisition of the company by Tesla Motors (TSLA), concerns have been raised about whether SolarCity is suffering from a liquidity squeeze. The merger has caused some lenders to hold back on advancing any new money to the company. The Citi funding goes a long way toward providing the company with the cash it needs to continue normal operations. The Citi arrangement involves two separate funds. One is expected to provide financing for $284 million in residential solar projects across the country, while the second is aimed at financing about $63 million in projects for small and medium-sized businesses in California. With its liquidity problems solved for a while, SolarCity announced this week that Radford Small, the company’s executive vice president of global capital markets, will be its new chief financial officer. Radford, who joined SolarCity last year from the clean technology and renewables group at Goldman Sachs, will take over the company’s top financial position from Tanguy Serra, SolarCity’s president. Serra plans to leave the company at the end of the year. “Due to overlap at the new company (SolarCity is in the process of being acquired by electric vehicle maker Tesla Motors), he is going to pursue a new venture,” said Lyndon Rive, SolarCity’s CEO in a written statement.